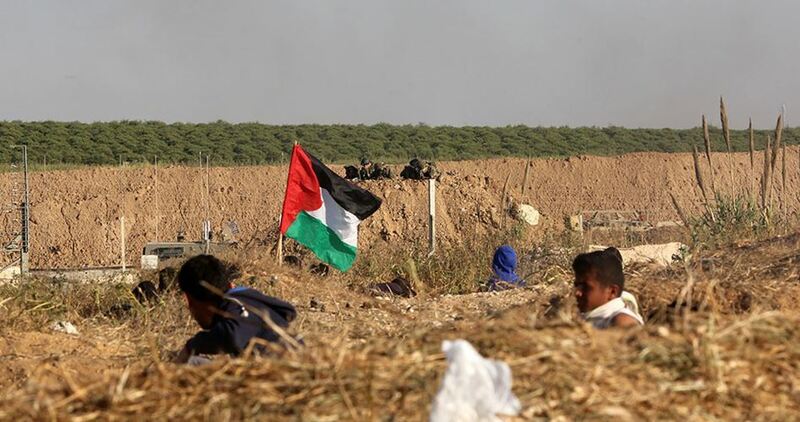 A Palestinian young man was shot dead and others wounded on Thursday evening by the Israeli occupation forces east of the Maghazi refugee camp, in the central Gaza Strip. Local sources said a Palestinian young man was fatally shot by Israeli snipers stationed along the border with the blockaded Gaza Strip. Others were also injured during the attack. Paramedics said an injured youth was rushed to the Shuhada al-Aqsa Hospital. Sometime later, the Palestinian Health Ministry identified him as Mohammad Alaa Abu Sharbin, 20. At least 233 Palestinians, including 43 children, five girls, three paramedics, and two journalists, have been fatally gunned down by Israeli snipers since the outburst of the Great March of Return on March 30 at the Gaza border. Nearly 24,000 others have been left wounded.